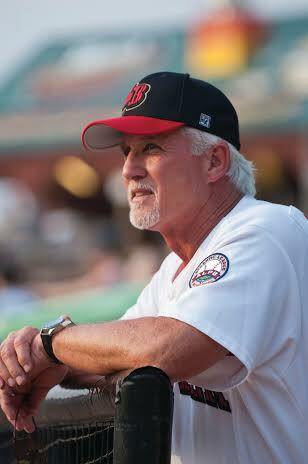 Lancaster, PA -- With his club winning seven of its last ten games, Lancaster manager Butch Hobson has passed long time Somerset skipper Sparky Lyle as the all-time winner in the Atlantic League. Hobson’s teams have now amassed 1,031 regular season victories in 14 seasons at the helm of the Nashua Pride, the Southern Maryland Blue Crabs and the Barnstormers. Lyle won 1,025 while managing the Patriots from 1998-2012. Despite Lyle’s five championships with the Patriots, Hobson has also accumulated more playoff victories as well, leading Lyle, 30-29. The former Boston Red Sox third baseman and manager won 418 games in his six seasons with the Pride. His Southern Maryland clubs won 235 more, and Hobson has now won 378 while managing the Barnstormers over the past five seasons. His Atlantic League teams have posted winning records in 12 of his previous 13 years. In his entire managerial career that also spanned three seasons in Boston, Hobson has amassed 1,797 wins. The Lancaster Barnstormers are entering their eleventh season as a member of the Atlantic League of Professional Baseball. Home games are played at Clipper Magazine Stadium in downtown Lancaster, Pennsylvania. Please call 717.509.HITS (4487) or visit LancasterBarnstormers.com for more information. The Atlantic League of Professional Baseball Clubs, Inc. is the highest level of professional baseball, other than the Major Leagues. Atlantic League players are experienced professionals, having progressed through the development levels (Single-A, Double-A, Triple-A) and are all “Major League Ready,” with approximately 40% of Atlantic League players having Major League service time. Since the League’s inception in 1998, nearly 30 million fans have attended an Atlantic League game in one of the League’s state of the art ballparks. The Atlantic League continues to be the only professional baseball league in an active expansion mode. Over the next few years the League plans to expand from eight to twelve teams, which will join the existing teams in the major metropolitan markets of New York, Philadelphia, Baltimore, Washington D.C. and Houston.